Colwall is a very popular and sought after village situated at the foot of the western slopes of the Malvern Hills and offers a good range of local facilities including shops, post office and pharmacy, schools, a doctor's surgery, churches, hotel and public houses. There is a regular bus service to Ledbury (approximately 4 miles) and Great Malvern (approximately 2 miles). Colwall also has the benefit of a mainline railway with direct services to Birmingham New Street, Oxford and London Paddington. A modern purpose-built ground floor apartment most conveniently situated close to the railway station in the heart of the sought after village of Colwall. The spacious well appointed accommodation has been recently redecorated and had new carpets. It benefits from gas fired central heating, triple glazing and there is a security intercom entrance system. 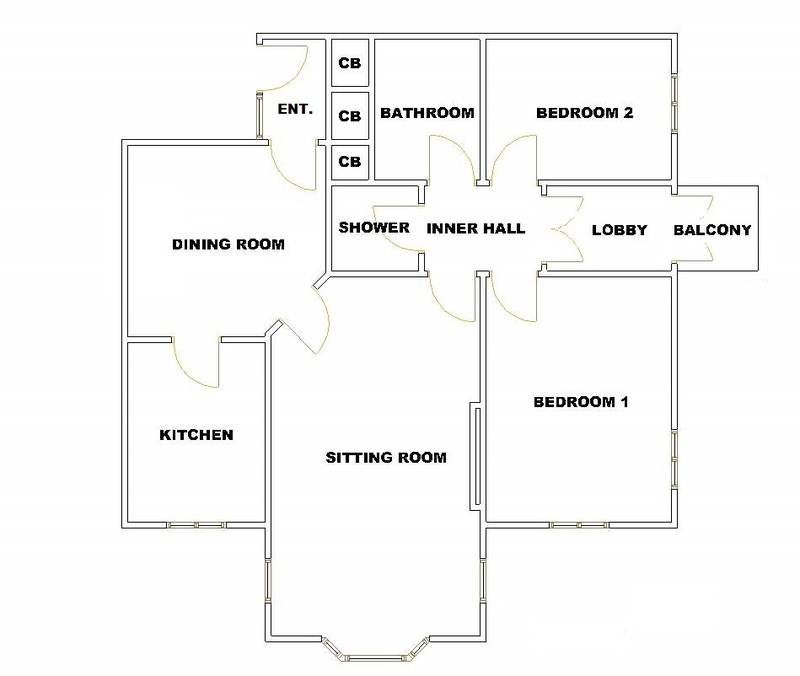 The accommodation briefly comprises a secure communal entrance, a private entrance lobby, dining room, fitted kitchen with appliances, inner hall, two bedrooms, a refitted bathroom with WC, separate shower room with WC and a side lobby with balcony off. There are pleasant communal gardens, a car park and secure garaging. Having a glazed security front door with intercom system. Door to the garage area and to the outside parking space. With cupboard housing a Worcester boiler. Airing cupboard. Multi-paned door to dining room. With double radiator. Main front door intercom handset. Mutli-paned doors to kitchen and sitting room. Well fitted with a range of modern units comprising a stainless steel sink with base unit under. Further base units. Wall mounted cupboards. Work surfaces with tiled surrounds. Newly fitted built-in double oven. Fitted 4-ring gas hob with integral extractor over. Integral dishwasher. plumbing for washing machine. Space for fridge freezer. Ventilator. Low level heater. TV and telephone points. Triple glazed window to front. Having a feature fireplace with fitted living flame coal effect gas fire. Double radiator. TV and telephone points. Triple glazed bay window to front with further triple glazed windows to side. With double radiator. TV and telephone points. Triple glazed windows to front and side. With single radiator. Triple glazed window to side. Refitted with a contemporary white suite comprising a panelled bath with ornate mixer tap and shower attachment, wash basin and WC. part tiled surrounds. Shaver light point. Ventilator. Heated towel rail. Having a tiled shower cubicle, wash basin and WC. Shaver light point. Ventilator. Heated towel rail. Built-in cupboard. Having double glazed double doors from inner hall. Panelled walls. Tiled floor. Double glazed double doors giving access to a small balcony. 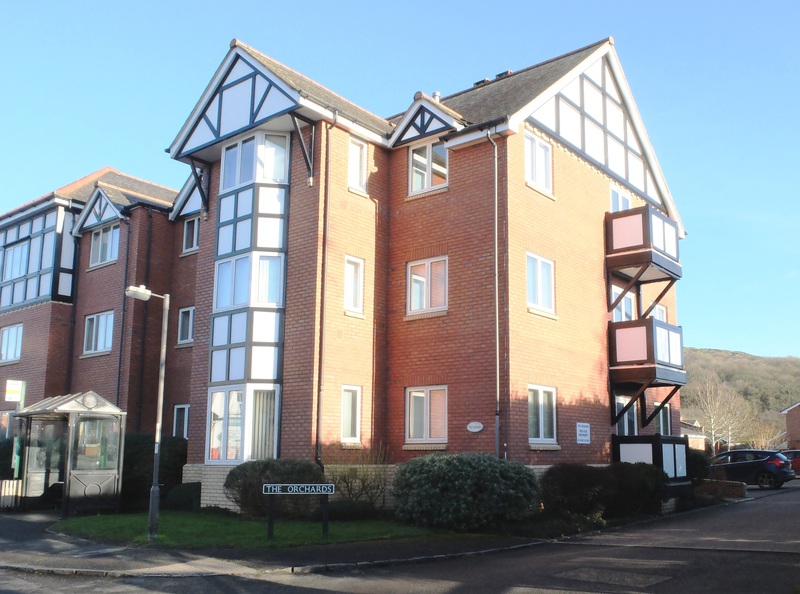 The property has an attractive landscaped communal garden and there is allocated parking space in a large car park. There is further secure garaging underneath the block with electronically operated security doors. IT SHOULD BE NOTED THAT OCCUPANY OF THIS PROPERTY IS RESTRICTED TO PEOPLE WHO ARE AGED 45 AND OVER. The property is Leasehold on a 299 year lease from 2000. There is a maintenance/service charge of £155.62 pcm. This covers buildings insurance, gardening and maintenance, heating and lighting of the common parts. The EPC rating for this property is C (75). From the agents Colwall office turn right and The Orchards will be found after a short distance on the left hand side at the junction of Station Road.